Filed under art on May 23, 2015. 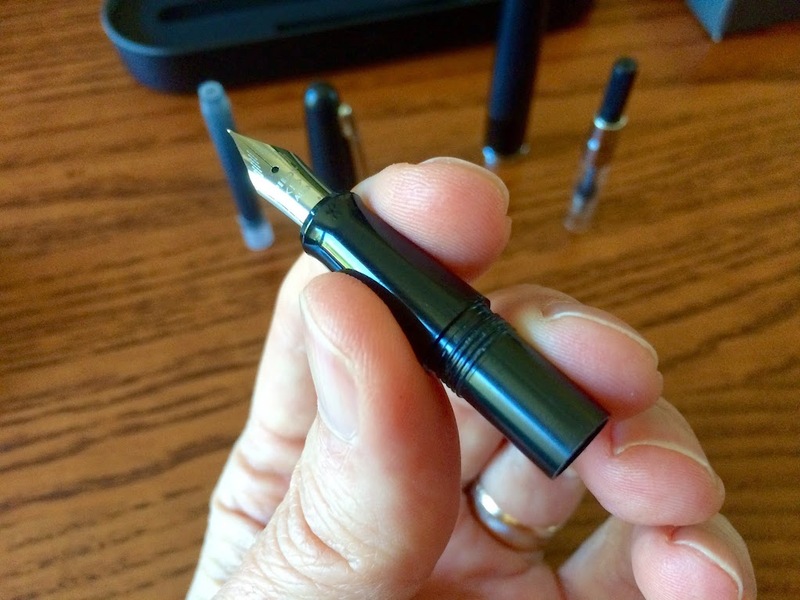 Recently, I wrote about my first fountain pen, the Jinhao 250. I shared the post in the PenAddict Slack channel. Slack member @punkey read my review and based on my “so-so” experience recommended I try another fountain pen, the Pilot MR Metropolitan. He then offered to send one to me. Evidently, he likes the pen so much, he keeps spares. 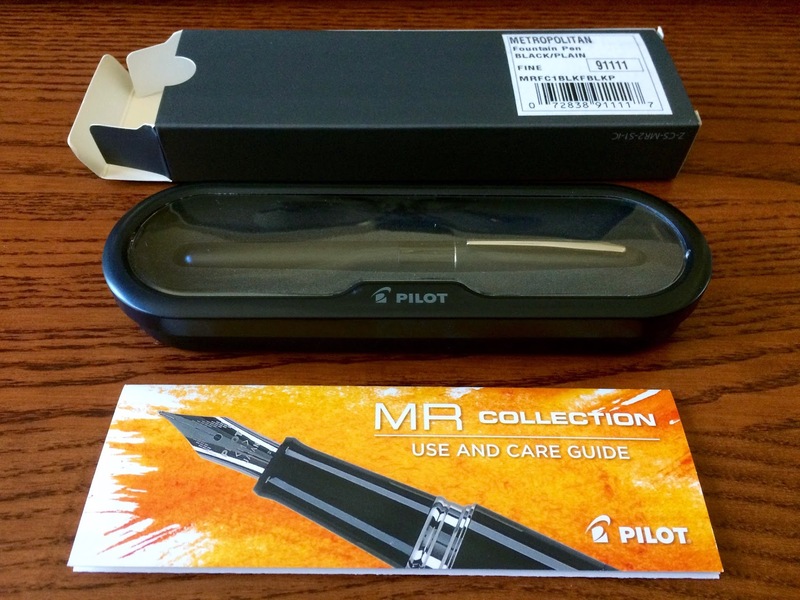 After asking me whether I prefer a medium or fine nib (I chose fine) and then allowing me to at least cover shipping costs, @punkey sent me a new Pilot MR Metropolitan. A few days later, the Pilot was in my mailbox. This is the part where I provide a HUGE thanks to @punkey for his generosity. I would later learn that we share a professional commonality, we both hold a commission in the United States Army! Hooah! Unfortunately, the Pilot sat on my desk, in the original mail package, for several weeks. I was eager to give the pen a try, but wanted to ensure I had time to document my Pilot MR experience and provide a comparison between the Jinhao 250 and the Pilot MR Metropolitan. Before I compare the two fountain pens, below are images from my unboxing of the Pilot. Comments appear below the images. After removing from the mail packaging, I found this Pilot box inside. I flipped the box over and opened to view the box contents. 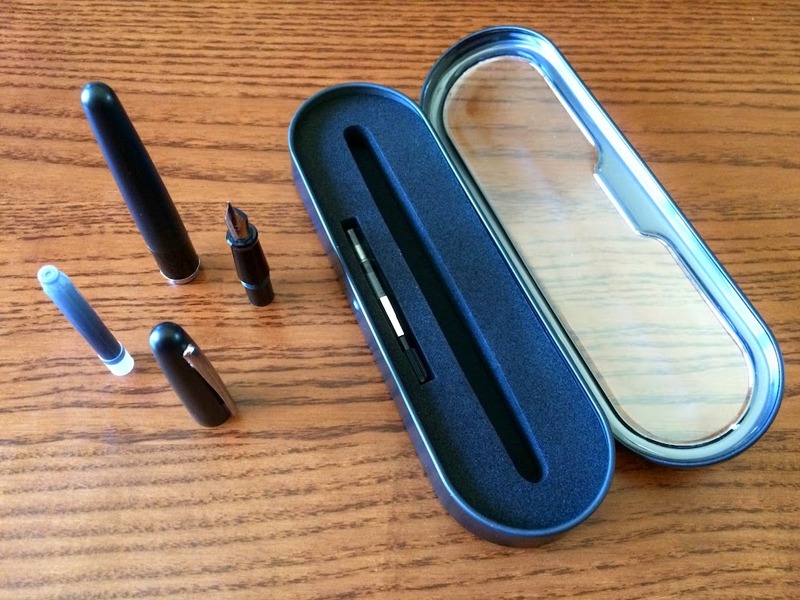 The Pilot fountain pen comes in a plastic gift box with clear plastic top. A nice addition was the included instructions. Instructions provide details on usage as well as cleaning. The case also includes an ink cartridge. With the unboxing out of the way, it was time I took a closer look at the Pilot MR Metropolitan fountain pen. Below are images that share features of the Pilot MR Metropolitan. Additional comments are below each image. 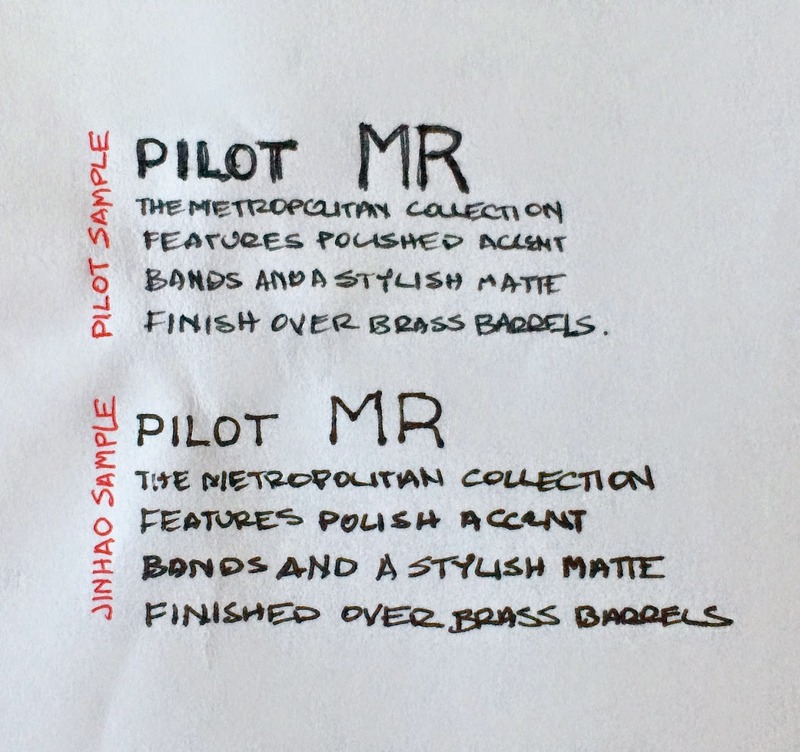 The barrel for the black Pilot MR Metropolitan is painted brushed brass. All accents are chrome. The design is sleek and modern. Weight is almost perfect. The Pilot normally comes with an aerometric converter (squeeze converter). @punkey was nice enough to replace this converter with an ink piston converter (rotate knob counterclockwise). I’ve yet to try a converter, but I can imagine that using an aerometric converter (you squeeze the body of the converter and then release to draw ink through the nib) would not be a pleasant experience. I could easily see myself getting the ink flow backwards. I will use the included ink cartridge rather than the converter. This image also provides a better look at the stainless steel fine point nib. A view of the parts and components included with the Pilot MR Metropolitan. 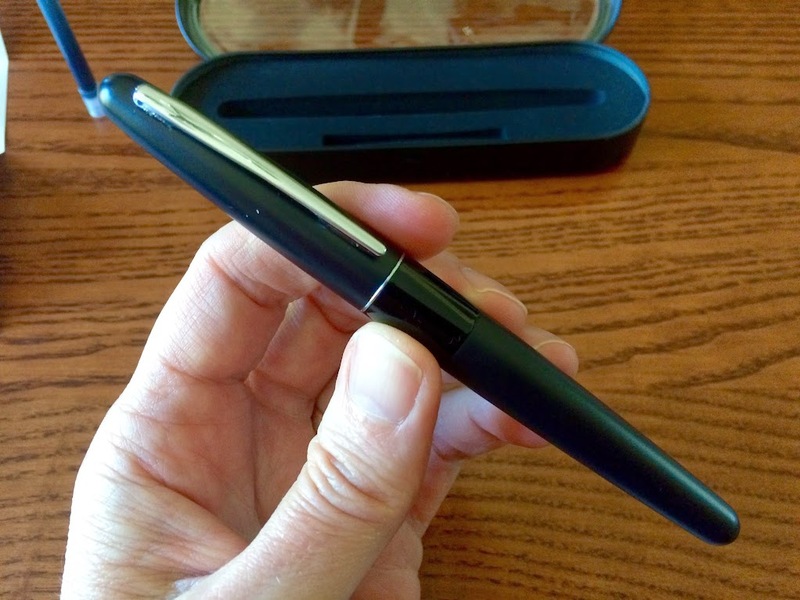 For an MRSP of around $20 and a street price of less than $14, this is a very nice pen and suitable for gifting. Time to insert the ink cartridge and give the Pilot a try. The Pilot pen is reassembled. I used the pen for several writing tasks to get use to it. As I wrote with the pen, I compared it to my Jinhao experience and made decisions on which I preferred in several key areas. Below are a few thoughts in each category before I declare a winner. 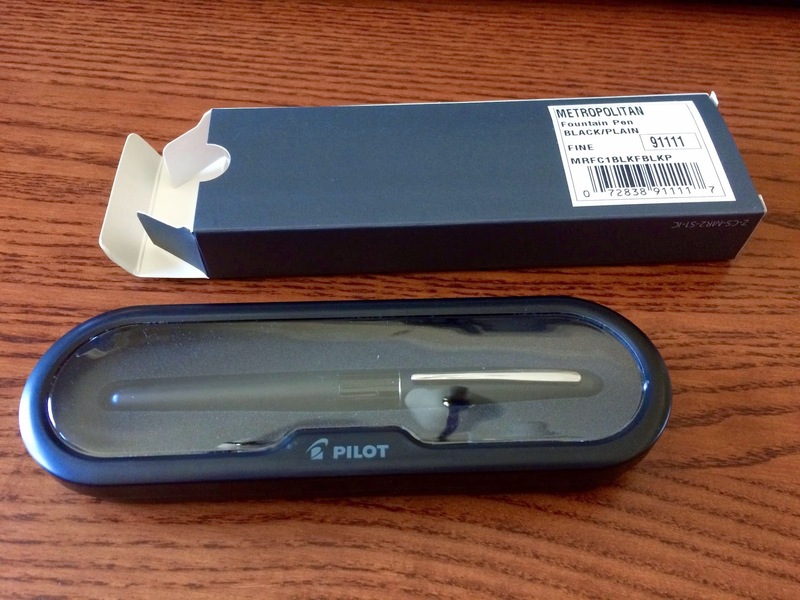 The Pilot retails for around $20 and can be found on Amazon for less than $14. The Jinhao retails for $15.00 and can be found on Amazon for around $3. That’s a significant difference which allows the Jinhao to reduce the barrier to entry. If cost is a factor, the Jinhao 250 is a no brainer. This category goes to the Jinhao. 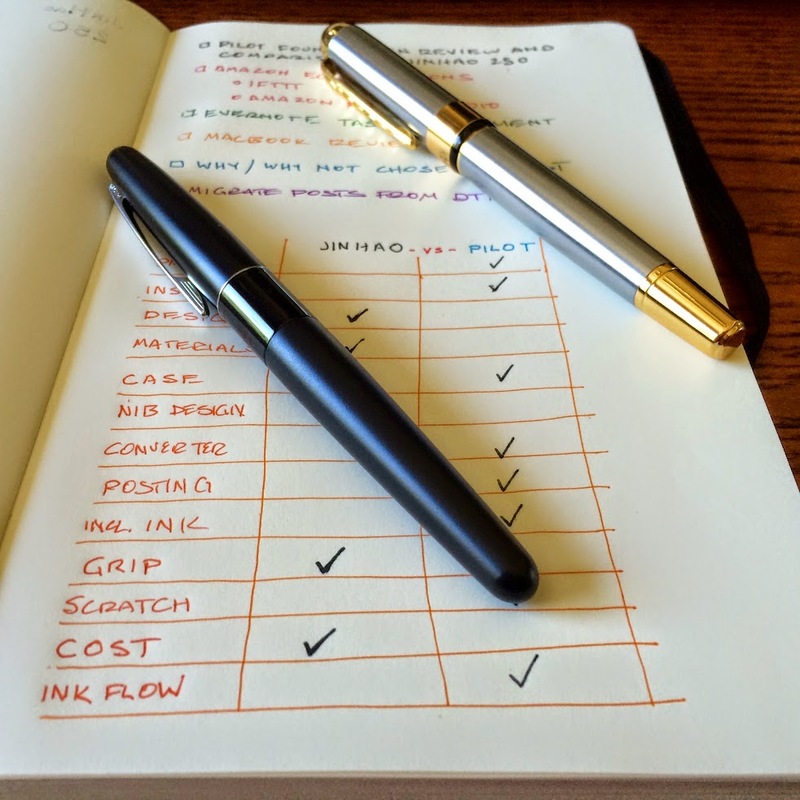 Read my full review of the Jinhao to learn more. 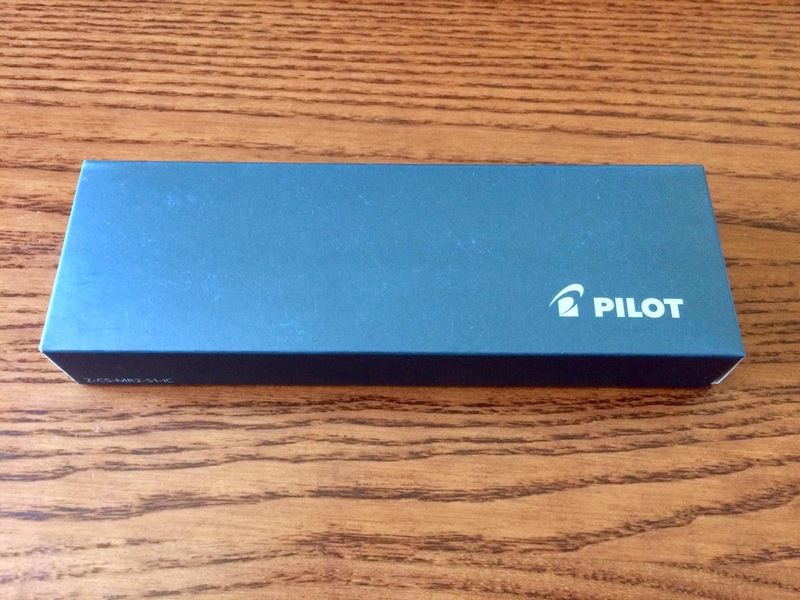 The Pilot includes a foam lined case, one ink cartridge, instructions and a converter. 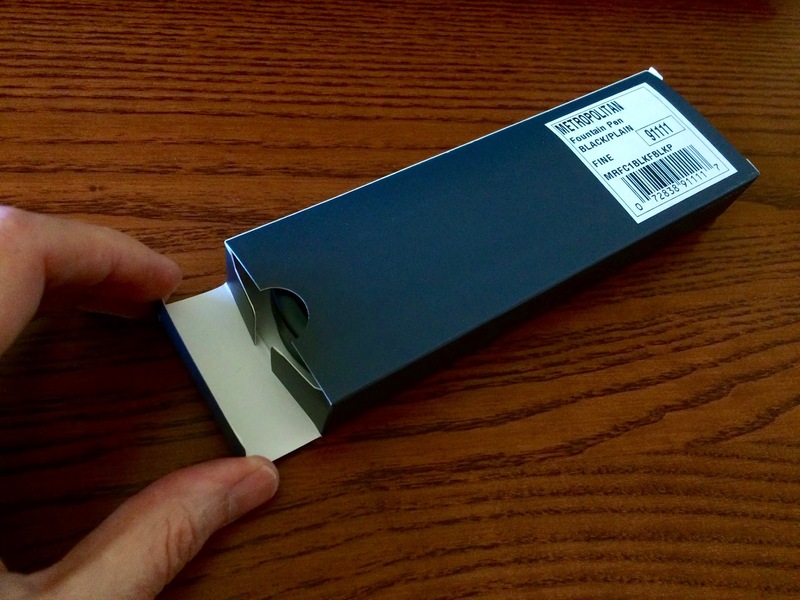 The Jinhao comes in a cheap plastic sleeve with a preinstalled converter. There is no box or ink. 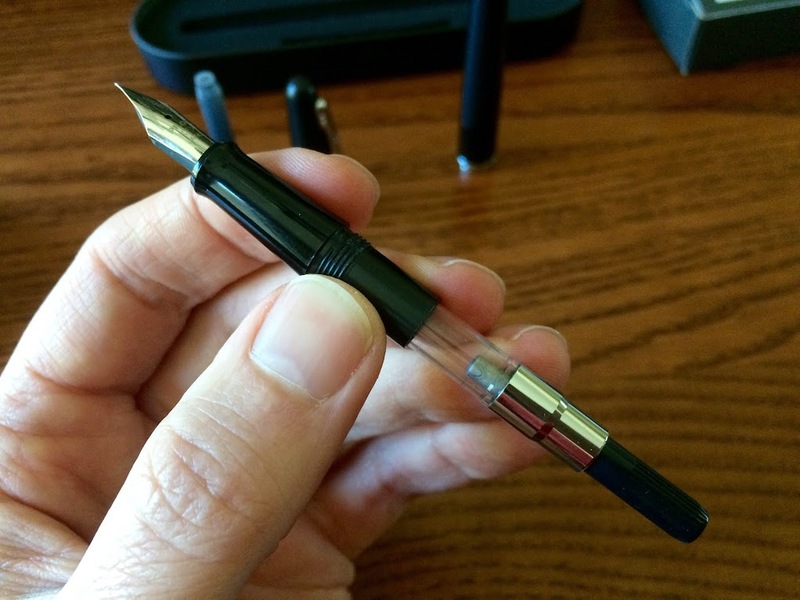 If you want to gift a fountain pen, purchase the Pilot. If this is a personal purchase, do you need the case? Preferential win to Pilot. Both pens include an ink converter. I’ve yet to use a converter so I cannot judge converter operation. 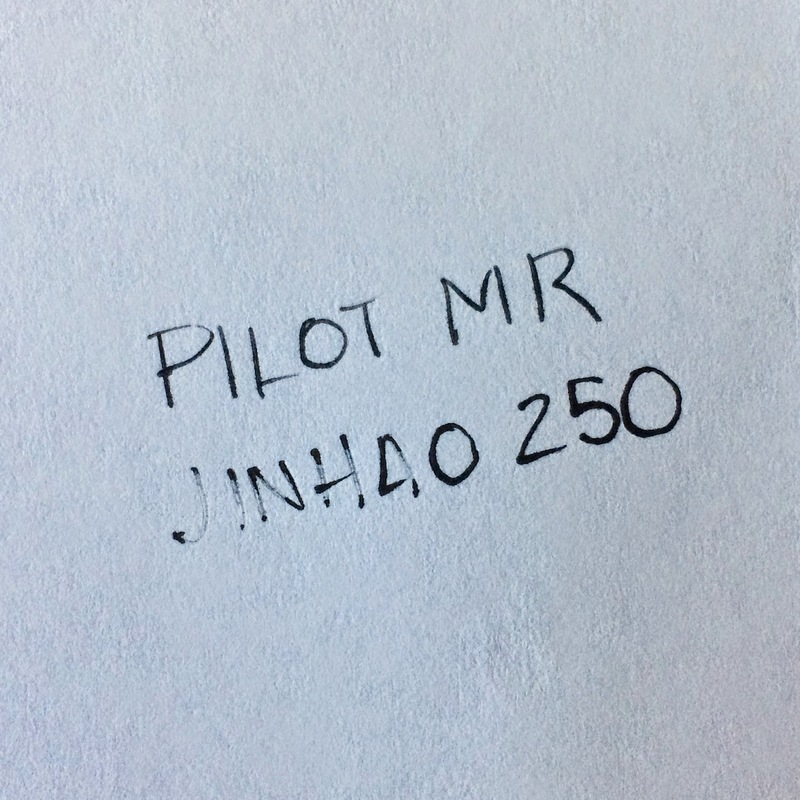 If I had to guess, I would say that the Jinhao piston was of better quality and easier to use than the Pilot aerometric. Since I have no way of knowing, this category is a draw. Design is subjective, so take my view with a grain of salt. I like the design of each fountain pen, but I favor the Jinhao. Especially with regard to the nibs. The Jinhao looks like it costs at least ten times what I paid and the gold and silver materials complement each other well. Small design details and etchings are evident. The Pilot pen, while subtle, modern and attractive, just doesn’t stand out like the Jinhao. Placing the two on a table would surely result in most observers believing the Jinhao to cost more than the Pilot. If you offered either for free, the majority would most likely select the Jinhao. It looks like a pen you want to own for years and later pass down to your loved ones. 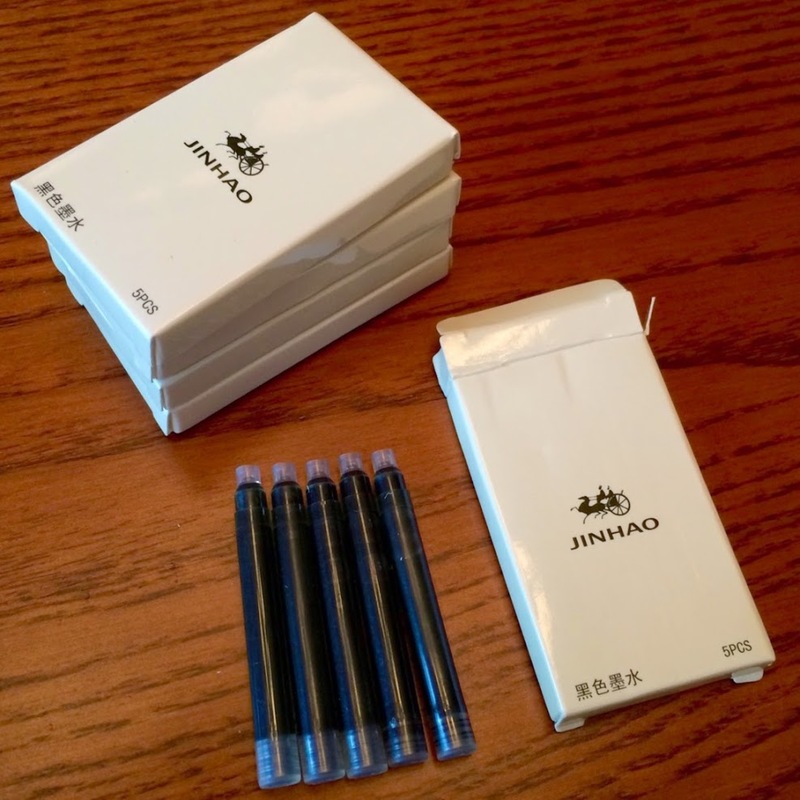 Win to Jinhao. The knurling on the Jinhao provides a better grip and the nib holder tapers naturally into the pen case. The Pilot has no knurling and the nib holder has a slight bevel that occasionally gets in the way of my writing grip. I prefer to grip the Jinhao and it feels more stable as I write. Grip win to the Jinhao. 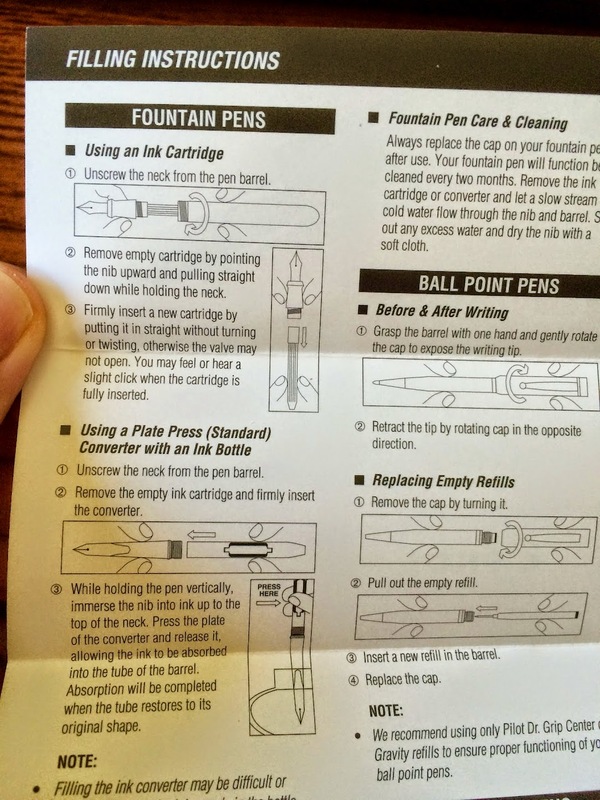 Pilot includes an ink cartridge. Jinhao sells ink cartridges and I was able to purchase these at the same time I made the Jinhao 250 fountain pen purchase. Both inks are black; however, I found the Pilot ink to be a tad bit darker and more consistent. Pilot wins in the ink category. The Pilot had a small hiccup on the first character; however, the Jinhao had problems all the way through the first six characters. If you store the Jinhao for any period time, be prepared to scribble with it a bit to prime the ink. 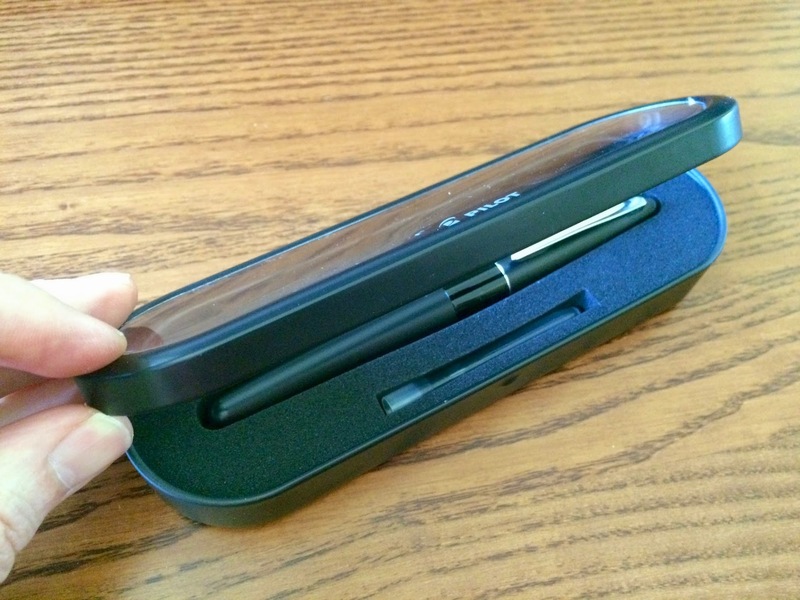 You might be able to tap the pen, with the cover on and nib down, lightly to activate ink flow. Once the pens had good ink flow, both were flawless for the remainder of the test. Due to the Jinhao’s latent ink flow, the Pilot has the slight edge in this category. Pilot includes a set of instructions that answered all my initial usage questions. Jinhao provides no documentation and I found myself searching online to determine how to fill and use the fountain pen. The information was easy to find, but a win for Pilot since you can get started right out of the box. Much like the Design category, material preferences are subjective. I prefer the materials used on the Jinhao. They are attractive, bold and solid. The pen looks and feels expensive. The Pilot’s use of thin brass just doesn’t have the same heft nor feel of luxury. This is a big win for Jinhao. See the Design and Materials for additional specifics; however, the look of the Jinhao nib is exceptional and classy. Pilot nib markings look like a branding after thought. Another win for Jinhao. 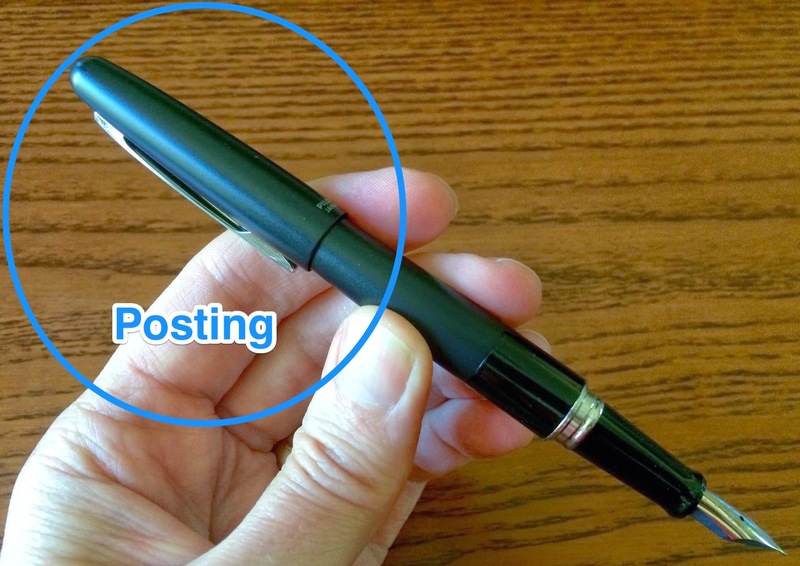 When you post the Pilot cover on the end of the pen, it is secure and you can flip the pen over without the cover falling off the pen base. Don’t try that with the Jinhao. You can post the cover, but if you flip the pen over, it will fall off. I am unable to write with the Jinhao cover posted as I always feel as if it is going to fall off. Pilot wins this category. I use the term scratch to describe the resistance the pen makes when you write on a piece of paper. 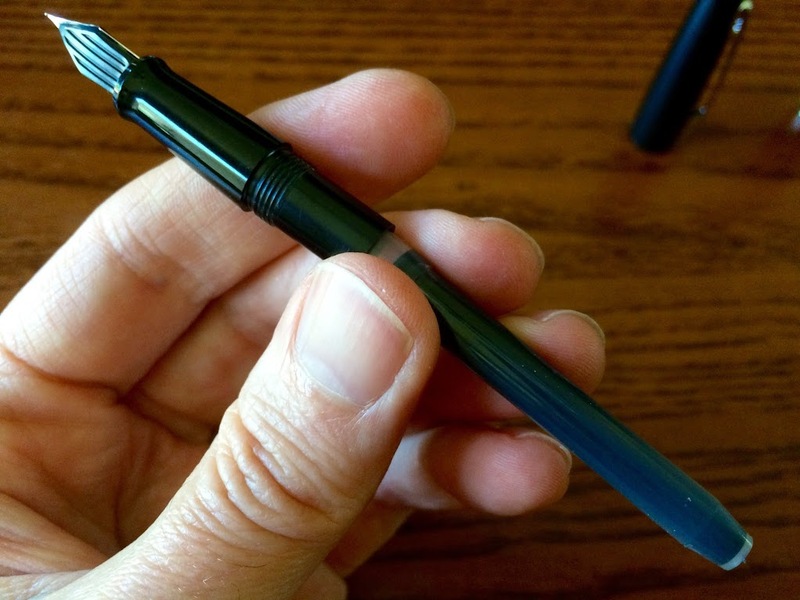 As the nib moves across the paper is it smooth or does it snag the fibers of the page? Micromesh can correct these snags; however, I compared the out of the box (or plastic sleeve in the case of the Jinhao) experience. One of my first Jinhao complaints was the way the nib moved across the page. There is significant scratch. The Pilot however, moves smoothly over the page. I was instantly amazed at the difference between the two. Using the Jinhao, I sometimes felt as if I was cutting the page. I never had that feeling with the Pilot so it wins this category. Before I received the Pilot, I enjoyed the heft of the Jinhao. It felt good in my hand and seemed balanced, that is until the I put the Pilot in my hand. Although lighter, it was better balanced with my personal grip and I found it much more comfortable to write with over extended periods. Having now used both pens, the Pilot is the clear winner in this category. If you assume a win for the Pilot because it received more category wins than the Jinhao – you would be correct. The single most important aspect of a fountain pen, as I was to learn thanks to @punkey, is the overall writing experience. Pens can look good, but if they fail to write, are uncomfortable and do not consistently produce quality lines, they are going to sour new fountain pen users’ experience. I’m not here to tell you that the Jinhao is a horrible pen, it is not; however, overall ownership and writing quality experience goes to the Pilot. If the Jinhao was the only fountain pen I owned, I would never know there is something better out there. This would likely cause me to never buy another fountain pen. If you simply want an attractive fountain pen to add to your collection or display, the $3 Jinhao 250 is a very cool addition. For daily use, I will reach for the $15 Pilot MR Metropolitan. These two pens are so different, I am intrigued and can’t wait to try another (and thus my new addiction – thanks again Pen Addict). 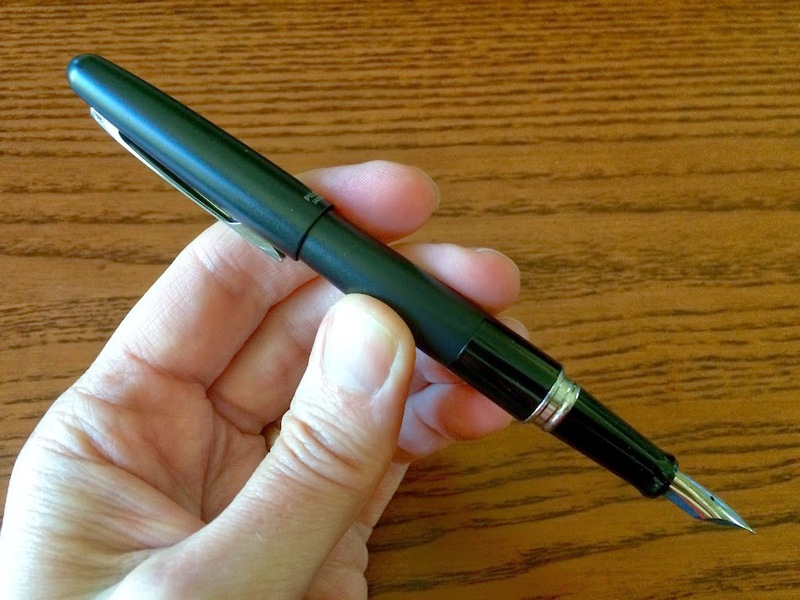 My next reasonably priced fountain pen will likely be a Lamy Safari unless readers have another recommendation. If you do, leave them in the comments below.